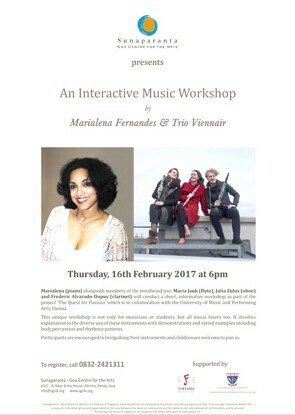 An Interactive Music Workshop by Marialena Fernandes, Piano; Maria Jauk, Flute; Julia Zulus, Oboe; Frederic Alvarado-Dupuy, Clarinet; Not only for musician or students, but also for all music lovers. Participants are encouraged to bring along their instruments. Children are welcome.